BRAND NEW 6 INCH TALL FIGURE! Equipped with sleek armor and powerful weapons, the Stormtroopers enforce the will of the First Order. This 6-inch scale First Order Stormtrooper figure is carefully detailed to look just like the troopers from Star Wars: The Force Awakens. This figure is crafted to display true-to-story detail and comes with 2 accurately decorated accessories. Act out favorite battles or create brand new ones! 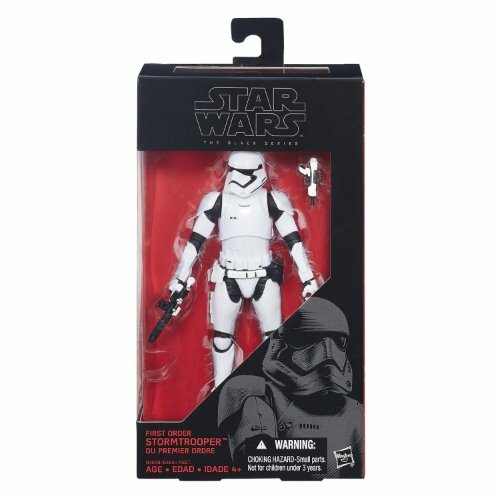 No collection -- or adventure -- is complete without this First Order Stormtrooper figure. FREE SHIPPING IN THE USA.